With increasing pressure from work, our families, and the stress of day-to-day life, adults are getting less sleep than ever. Even those of us who intend to clock eight hours a night are often falling far short of the mark. In fact, according to recent CDC data, up to one third of Americans aren’t getting the recommended amount of sleep, leaving us tired, distracted, less productive, and even putting ourselves at risk for more serious health issues, like obesity and cardiovascular disease. While the consequences of sleep loss may be dire, there’s good news: with just a few small changes to your bedroom, you can turn your space into a sleep sanctuary, making it easier than ever to get the restful, rejuvenating sleep you so desperately want and need. Here’s how to make your bedroom a sleep sanctuary. One of the easiest ways to make your bedroom more conducive to sleep is by adding a white noise machine to your room. Everything from the sound of central air conditioning turning on to passing cars to noisy pets can significantly disrupt your sleep, making it harder to wake feeling rested, but a white noise machine can help. Fortunately, they’re generally small and relatively inconspicuous, as well, meaning adding one to your bedroom won’t conflict with your existing décor. Having oversized windows in your bedroom, like those lucky enough to live at The Harland West Hollywood enjoy, can be a mixed blessing. While it’s wonderful to have a light-filled space during the day, it also means that you need some serious light-blocking to get a restful night’s sleep. The good news? Investing in a pair of sound-dampening blackout curtains can make your bedroom darker, quieter, and overall more conducive to a good night’s sleep. While some homes come decked out in soothing hues, like the elegant and airy Upper West Side residences at The Chatsworth, many people aren’t so lucky when it comes to the paint colors in their homes. If you want to ensure that your space is helping you sleep well, it’s time to cover up the bold paint choices of the people who lived in your home before you. To make your bedroom more conducive to rest, opt for a neutral hue, like a white, yellow, or light beige, or choose blue, a color that’s known to have soothing effects. Your sleep is only as good as the blanket you’re resting under. If you find yourself tossing and turning at night, add a weighted blanket to your routine. Not only do weighted blankets help quell anxiety for some sufferers, they also make it more difficult to flip back and forth in your sleep, keeping you blissfully dreaming for longer. While it may be fun to read on your phone in bed, doing so is actually preventing you from getting the good night’s rest you want. The blue light emitted by electronic devices like phones has been shown to disrupt REM sleep, so if you want to sleep better and wake up more refreshed, leave your electronics out of arm’s reach. A little mood lighting isn’t just great for date night—it’s also an excellent way to enjoy the relaxing and restorative sleep that will help you tackle your day. 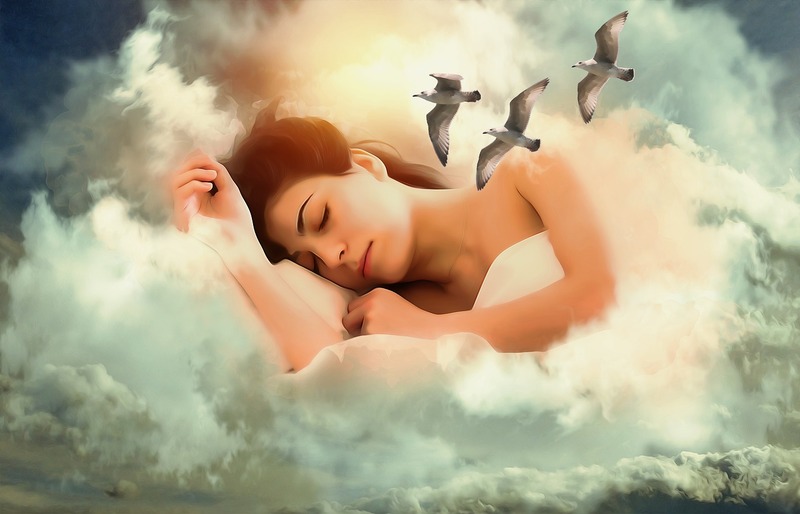 By dimming the lights before you go to sleep, you’re psychologically preparing yourself to rest, making it easier to get some restorative sleep. If you have a gym in your building, like the residents of 88 & 90 Lexington Avenue, you likely know how much exercise can help improve your sleep. However, even if you don’t have that luxury, you can still make it easier to get adequate sleep by making some space to stretch in your bedroom. Do a few stretches and breathing exercises before bed and you’ll be drifting off in no time. If you’re still watching TV in bed, there’s no time like the present to stop. The blue light emitted by your TV is a major sleep killer, making it both harder to fall asleep and stay asleep. If you want to make your bedroom a sleep sanctuary, the first step is simple: turn off the TV and move it into another room. Better yet, make sure you’re not watching within an hour or two of bed to give your brain and body ample time to decompress from such a stimulating activity. Maintaining the right temperature in your bedroom can make all the difference when it comes to enjoying a restorative rest. While you may like the feeling of a warm bedroom, keeping it slightly cooler may actually serve you better in the long run. Not only does setting your thermostat lower help reduce your risk of overheating in the night, it also increases non-shivering thermogenesis, helping you burn fat more easily. The ideal temperature for shedding those extra pounds, according to scientists? 66 degrees Fahrenheit. If you’re not doing it already, make sure you’re changing your pillowcases and sheets at least once a week. Our beds can become havens for everything from crumbs to dust mites to bacteria, all of which can make it more difficult to sleep. Luckily, a fresh pair of sheets on your bed is sure to help you get the rest you deserve. Make your mental and physical well-being a priority once and for all by turning your bedroom into the ultimate sleep sanctuary. Armed with a good night’s rest, you’ll be ready to tackle whatever the day has in store. 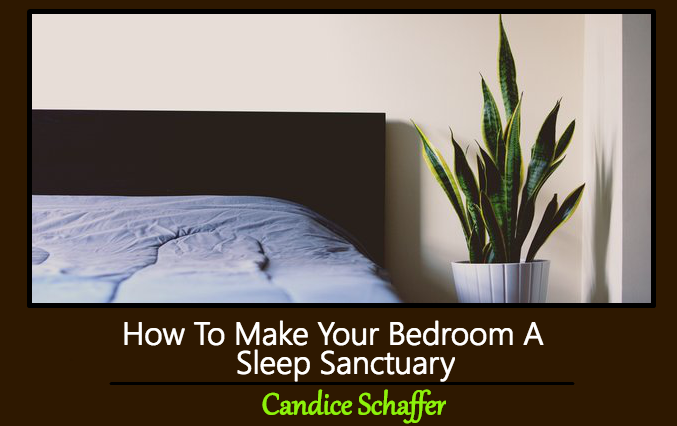 This Concludes: How To Make Your Bedroom A Sleep Sanctuary. What Did You Think Of This Post? Please Let Us Know By Rating Below! These are wonderful recommendations. Having a good sleep is very precious to me, that’s why I loved this article and couldn’t help myself reading it. Based on my experience, soothing colours are truly mentally calming and it helps me fall asleep easily. I will try a white noise machine it might help me more to have a very good night rest. 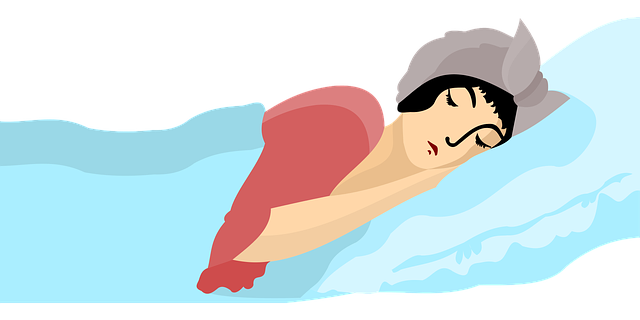 So glad you enjoyed the read and have found added tips to help you get a good night sleep. Feel free to update us later on how the white noise machine has worked for you.